I am developing the small login application using Spring MVC, Spring Security, Hibernate. It has two service classes Aimpl.java & Bimpl.java. One of them(Aimpl.java) depends on Spring security. Matlab has a property called gco (get current object) that can be used to identify a line after mouse press. I am using Flotr Charts for display of charts . We have requiremnt as Y axis needs to be filled on either sides . 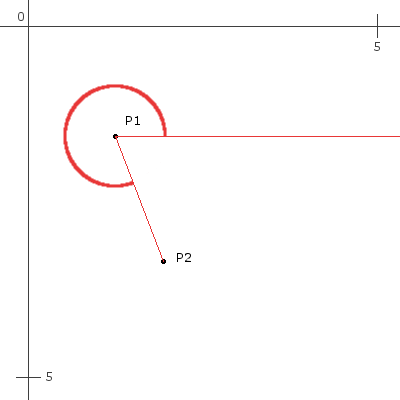 Is it possible to construct a medial axis for a complex, non-convex polygon with holes in sub-quadratic time? Could you point me to the algorithm explanation? I'm developing a set of web services and clients. Most of the service parameters take simple data types (int, string, etc.) and POJOs as parameters. I am wondering whether there's configuration to put axis ticks "center" over the tick line? and also put them in the plot area instead of outside space? In my Web service I am using DBCP. Please tell me how to resolve this ?? Can we use Axis1 client code for Axis2 services? We have deployed services using Axis .aar file. Can we access that services using Axis1 client code (i.e. without AXIOM API)?. In my current project, we are using Apache Axis to do remote calls via SOAP. They're not quite getting me where I need to go, though. I'm making a service that should accept a variable number of files using Axis2 1.5.4. Is it possible to read an absolute timestamp from an H.264 stream sent trough RTSP from an Axis camera? What is the difference between Modules and Services in web-services ( AXIS2.x )? What is the best/standard way to define a web service interface? I have two class Car and Bus both of them extends Vehicle. I have a WSDL from a C# web service. Can anyone advice on how to use apache axis 2 to create a dummy web service? Do JAX-RPC and Axis2 have built-in support for XML injection? If not, how can I add custom code to perform escaping and schema validations on my own? I'm using Zedgraph and I've a problem with values printed beside axis. Is it starting from WSDL or from coding? Sorry about the poorly articulated title, I couldn't think of a title that would suffice without explaination. I found Core Plot as very nice plotting library. But there is small issue: I can not find any way to set directional arrows at the end of axis for plots. I have been researching this like crazy, and have not been able to find an answer. Is there any possible way to use JAX-RPC with Axis2? This may be one of the insane / stupid / dumb / lengthy questions as I am newbie to web services. I have two different webservices (each generated from a different wsdl) with the same name "getConfiguration", that I'm trying to put in the same .aar file. I created my web service using Eclipse and Apache axis (Using this link). When I tested it on my local machine with Eclipse and Apchache tomcat it worked fine. How can I check if any web service is accessible ? I have written a simple web service which takes string as an argument and returns a String as output. I need to execute a static method in a Java class when the Apache Axis 2 starts, or something which could be done in an application scope. I have some functions which i want to publish as a webservice .Am preferring axis 2  web service.The return type of my methods is some bean that i developed. [x.sum() for x in arr.swapaxes(0,i)]. SOAPUI by default uses Apache Axis and not Apache Axis2 How do i make sure SOAPUI is always using AXIS2 for testing remote web service? As we have ksoap library for calling axis web services in android and blackberry platform, do we have anything of that kind to call an axis2 webservice. For example, what is a code for plotting y = x so that y- and x-axis have the same scale ? field gone? where do I get the current configuration context? I have developed  a Webservice using Axis2 , made a .aar file from it and deployed it inside the Axis2.war services directory . All this works fine . Can someone tell me how to remove the decimal points from the Axis labels? Instead of 10.0 I'd like to have only 10 showing. I am developing webservices using Apache Axis2 (1.5) version . I have developed a war file for webservice  client . And Deployed my Webservice in (.aar) format  into axis2.war services directory. I am pretty new to webservices . We need to develop a web service using Axis2 . Please tell me when to use Modules Concept , when using Axis2 .